You are not logged in. Log In | Register PG Music Home » Forums » General Discussion » User Showcase » Farm Fresh Jazz. Kingbird Sun. #88876 - 10/25/10 04:01 PM [User Showcase] Farm Fresh Jazz. Kingbird Sun. Kingbird Sun is a new jazz tune I wrote with Band in a Box. My first post to these forums. Please let me know what you think? Click on : Kingbird Sun to hear it for yourself. I mixed this out in Logic with some significant reverb on the saxophone. I used BIAB newest edition. This was composed entirely in BIAB and then mixed/mastered in Logic. Kingbird Avenue is the name of the gravel road where I live. The sunrise and sunset are often spectacular. Great sound. Don't you just love BIAB? Good mix. OUTSTANDING lounge music. I love this genre and you did it justice. Super mix and great reverb choice for the sax. Edit: I just revisited this and realized I made a mistake in material. Really good, thanks for sharing. Thanks. Glad you liked it. I love the smoothness of the saxophone. I wondered if the mix was a little too much for reverb, but I really can't have it any other way. Was wondering what was keeping you so hilariously engaged. Then I realized how funny bottled water would be. My thoughts exactly, nice work. Thanks Danny C. Love the name of your band. It's all been said, CMJ. The only phrase that I can think of that does justice to your composition is "beautiful music". It was a terrific listen. 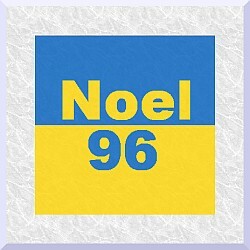 Noel96: So glad you feel that way. It is amazing what can be generated with a good chord progression and biab.